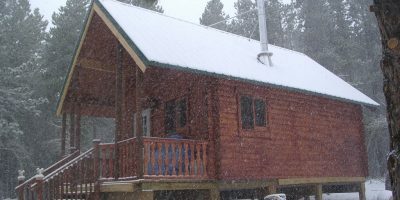 At 14′-7″ x 21′, the Outdoorsman log cabin package is one of Conestoga Log Cabin’s most popular models among hunters and fishermen. 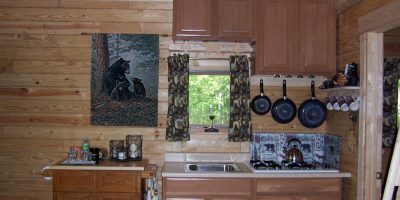 Many trophies are mounted on Outdoorsman log cabin walls all across the United States of America. 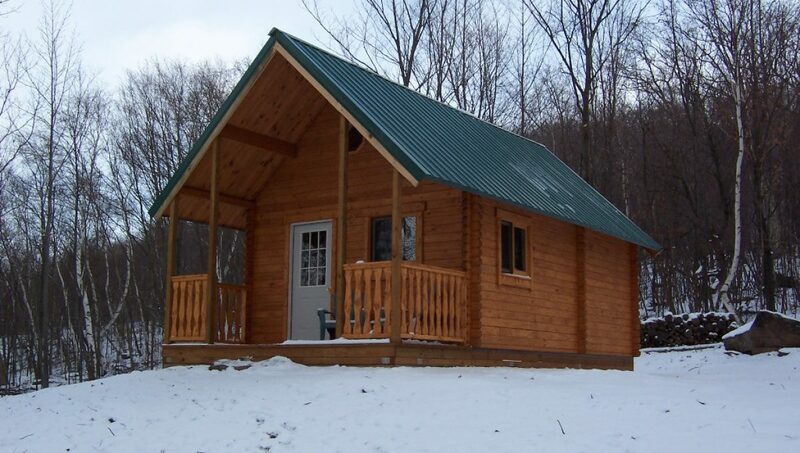 The Outdoorsman provides more than just comfortable shelter within its 424 square feet. 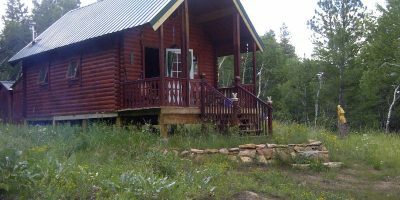 Easily used as a hunting cabin kit or fishing cabin kit, you’ll find one bedroom, a full bathroom and a living area with a kitchen. 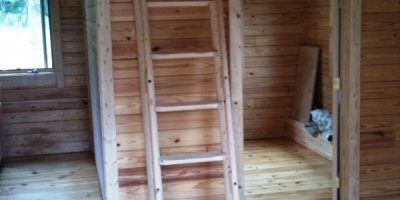 There is also a loft which can be accessed by ladder. The dictionary defines an outdoorsman as a person devoted to outdoor sports and recreational activities, as hiking, hunting, fishing, or camping. 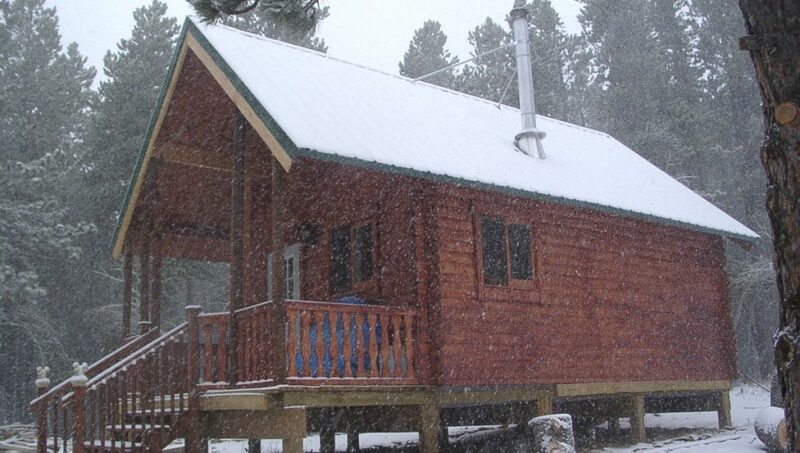 If this describes you, then the Outdoorsman Small A-Frame Cabin Kit is made for you! 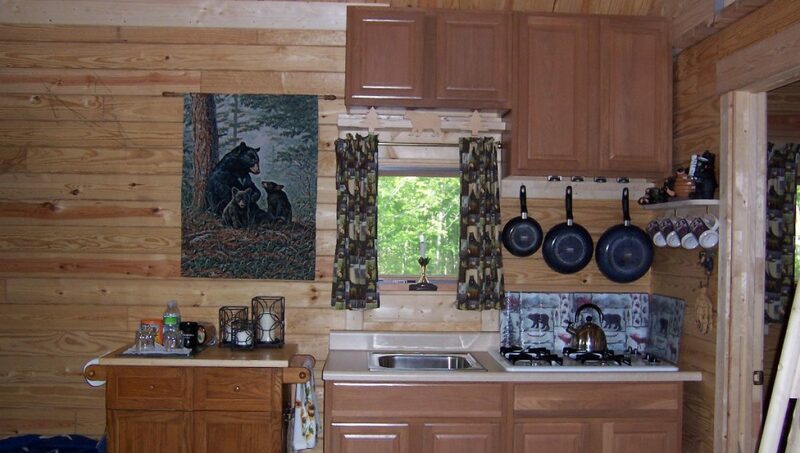 It is designed for the outdoorsman who doesn’t want to completely rough it and can appreciate modern comforts. Just imagine yourself sitting on the Outdoorsman’s covered front porch recalling the day’s events with friends. 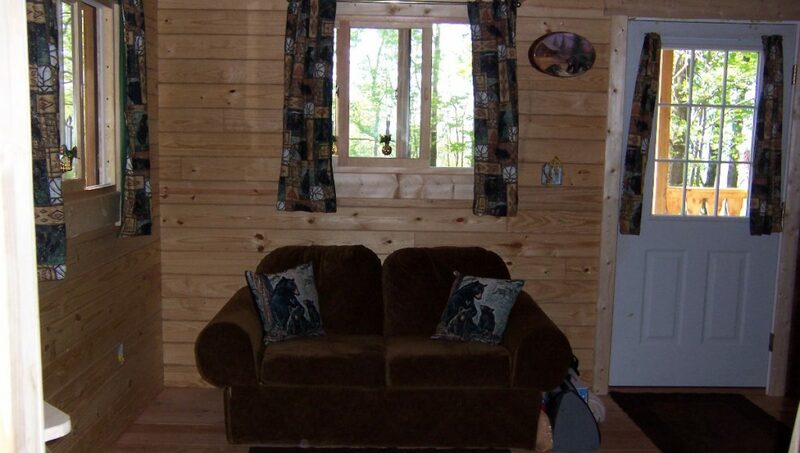 You can situate an Outdoorsman in a remote hard to access area near your favorite fishing hole. 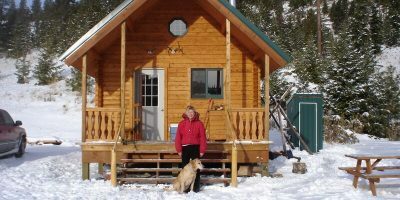 Or you can assemble the log cabin kit down the road from your hunting buddies in the woods. 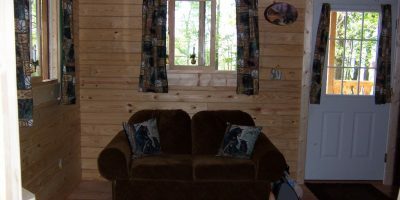 Wherever you decide to build your log cabin, when you’re ready to take off your camo and hip waders, the Outdoorsman log cabin is the ultimate place to unwind. 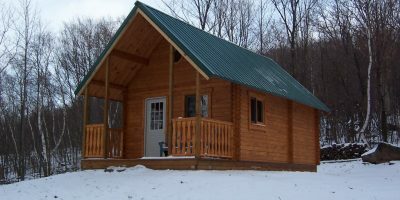 Like all Conestoga Log Cabin kit plans, the Outdoorsman is completely customizable to fit your needs.